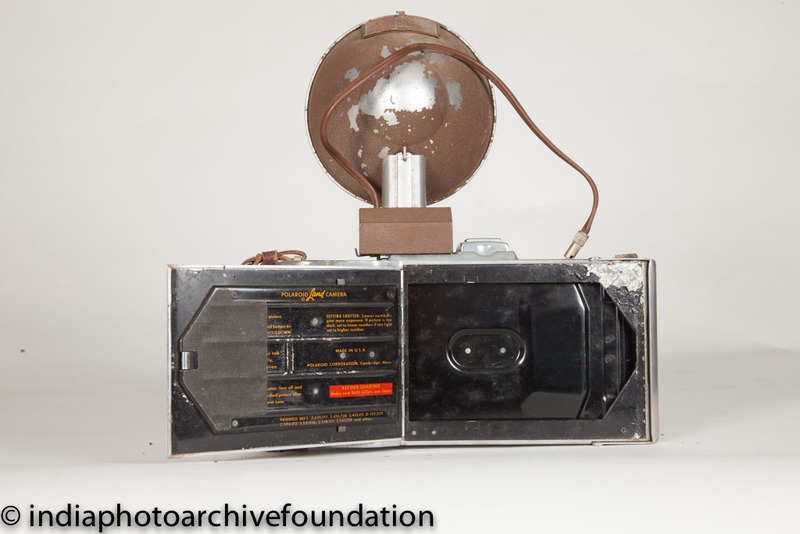 Latest addition to the Museo Camera Collection – Polaroid Land Camera Model 95 with flash #200! Thanks to Gautam Hemmady. 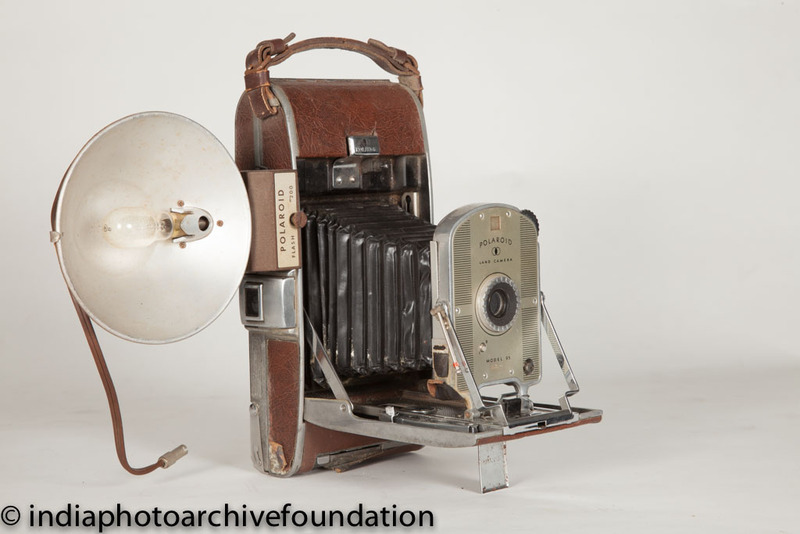 The invention of modern instant cameras is generally credited to American scientist Edwin Land, who unveiled the first commercial instant camera, the Land Camera, in 1948, a year after unveiling instant film in New York City. 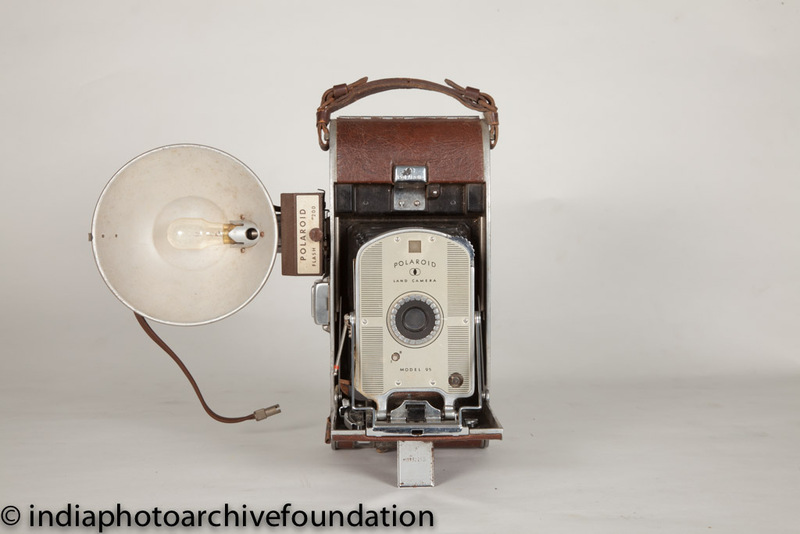 The earliest instant camera, which consisted of a camera and portable darkroom in a single compartment, was invented in 1923 by Samuel Shlafrock. 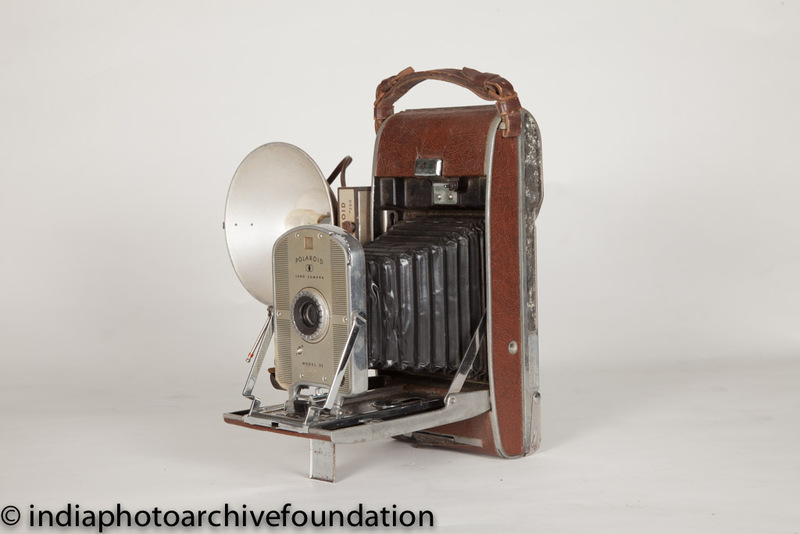 The Model 95 is the first of Edwin Land’s instant picture cameras. 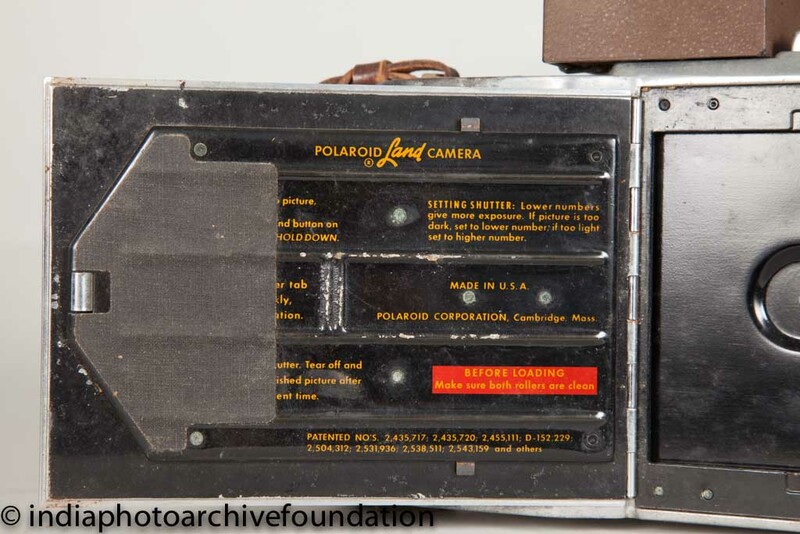 Starting in 1948 the Polaroid Corporation in Rochester made at least 1.5 million of the Model 95 folding viewfinder camera for his instant roll film, including the variants 95, 95A and 95B. The first of these is recognisable having a spring sighting pin as part of the viewfinder, while the later ones have a wire frame. The model name is written on the face plate of the camera.